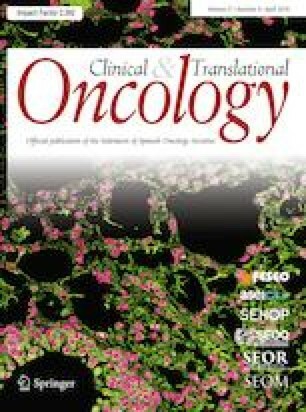 The aim of the study is to clarify if a classification based on the time of occurrence of associated malignancies in GIST patients can help in the understanding of the clinical controversies observed in these patients. We retrospectively reviewed all the patients diagnosed with GIST tumors between January 1999 and October 2016. They were divided into GIST patients associated with other tumors (A-GIST) and those not associated (NA-GIST). A-GIST patients were also divided into four types according to the proposed classification. Of 104 GIST patients, 32 (30.7%) (A-GIST group) had at least one additional primary malignancy. The most frequent location of the associated malignancy was the GI tract (26%). Compared to NA-GIST, A-GIST were more often asymptomatic with a lower risk of recurrence. The main cause of death in NAGIST was GIST itself, being associated tumors the main cause of death in A-GIST group. No differences were found in DFS and OS between A-GIST and NA-GIST. The use of the proposed classification classifies GIST patients with associated malignancies in different subtypes that differ substantially in terms of incidence, type of neoplasms associated, cause of the association and prognosis. The authors acknowledge the work of Galian MJ for her technical assistance in the preparation of the manuscript. None of the authors have any financial disclosures to make regarding the eventual acceptance and publication of this study. This work has been approved by the ethics committee of the hospital. The included patients have been informed and have consented to the use of their data anonymously for their scientific use. Rodriquenz MG, Rossi S, Ricci R, et al. Gastrointestinal stromal tumors (GISTs) and second malignancies. Medicine (Baltimore) [Internet]. 2016 Sep 23 [cited 2018 May 29];95(38). Available from: https://www.ncbi.nlm.nih.gov/pmc/articles/PMC5044889/.